Movie Trailer Generator: Action Edition - OUT NOW! With the Movie Trailer Generator: Action Edition, you can design audio trailers for your imagined action movies. Choose from over 6.6 septendecillion combinations of narration and music ! Save and send your trailers for the sheer pleasure of it  or as graduation announcements, holiday greetings, birth announcements, wedding invitations, or advertising for your business. Edit your trailer until your muscles burn and your veins pump battery acid. Then, create some more. 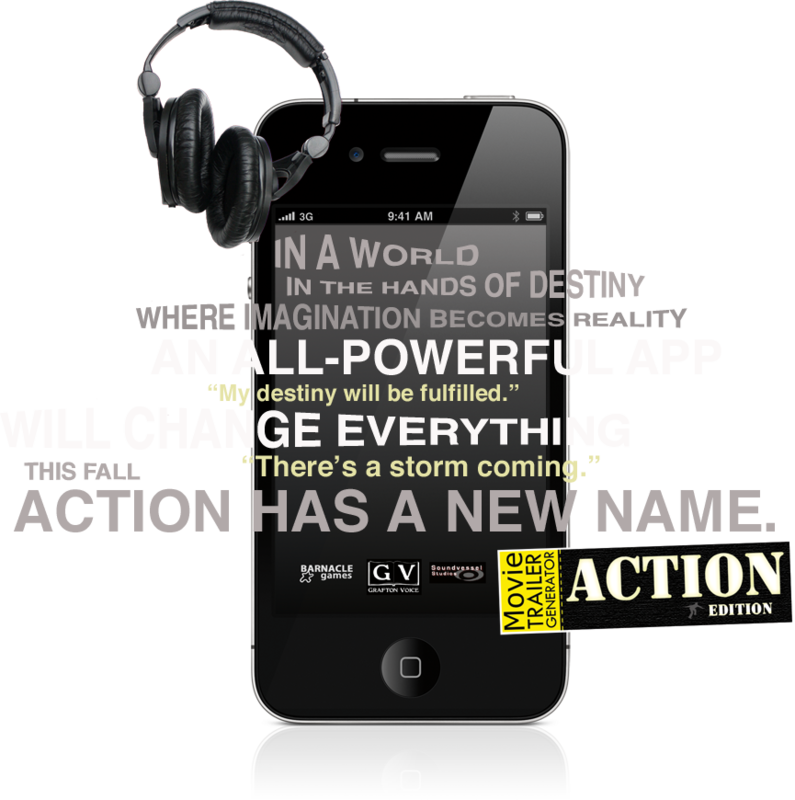 Experience the world's first and best audio action movie trailer generator on your iPhone or iPad. Include your name, the names of your friends, and/or your favourite movie stars. Realize your acting dreams NOW. Save your completed trailers and share with your friends via email, Facebook or Twitter. Think of the adulation you'll receive. Suggest new audio. Your suggestions may be recorded by a professional voice actor and included in our next update. Go ahead, click on the App Store link. Make our day. Meet Mr. Schwabe - a man of action with the voice of thunder. He entertains interesting voice-over projects. SO PRETTY PLEASE, WITH SUGAR ON TOP, GET THE $%@#ING APP.